In case you haven’t read her cartoons, seen her on a Canberra rollerderby track, or heard her on ABC 666 Eleri Mai Harris is an journalist studying cartooning at the Center for Cartoon Studies in a town that is like the one in Gilmore Girls, but smaller, and quirkier, and full of two kinds of people: townies and toonies. This summer was winter for SPP’s Rosie Stevens, who spent three months living in San Francisco. She also dropped by White River Junction in Vermont, discovered snow, and grabbed an interview with Eleri. And while they mightn’t have been in Canberra, they talked plenty about the place. Rosie Stevens: I wanted to talk to you about publishing: publishing yourself and finding things that you think are interesting to write about and cartoon, in particular. Before Vermont you wrote a lot of cartoons and short pieces – at what point did you start disseminating that? At what point did you say, ‘Okay I’m drawing this stuff, and I’m going to start showing people this work.’? Eleri Mai Harris: I’ve got a background in journalism, so the idea of disseminating pieces of work that I’ve written isn’t completely – you know – what I’ve been trained to do is write short articles that are publishable. So that’s not completely crazy. In fact, when I first built my blog, I was already teaching people how to build things like that at the University of Canberra. Online journalism is my background, and so that sort of online publishing format was something I was familiar with. So I figured out how to convert what I wanted to do with cartoons with what I already knew how to do with words. Do you want me to talk about actually making physical objects as well? R: Well, when did you start? E: When did I start? R: What kicked off saying, ‘Alright, I’m going to print this, and I’m doing to put it together, and this is a thing that I’ve made.’? 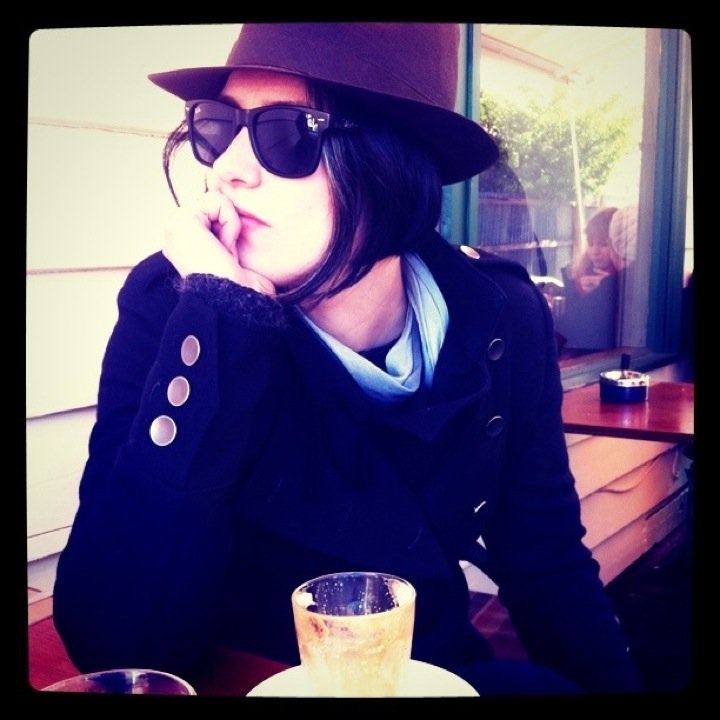 E: In 2007 I was living in Melbourne. A friend of mine, Anthony McCormack, who is a comedian, gave me a bunch of scripts to draw from. We had been regularly going to a trivia night at the Queensbury Hotel, and they had one section of the trivia night that was a drawing component, where you won a free round of beer if you drew the best cartoon of John Howard, who was still Prime minster then. So Anthony knew I could draw and he was looking for someone who would be able to convert his scripts into something that was longer. He had written some really funny short stories, so I illustrated them for him. And I made comics – I didn’t just illustrate them, you know, I broke them up into panels. At the same time, I made a bunch of cartoons for a radio show I was part of called ‘Below the Line’, which was an election program. So political cartooning was something I was always interested in, and that was what prompted me to really ‘do’ cartoons, rather than doing it for fun. I’ve always drawn cartoons, since I was a kid. When I was little my brother and I would draw funny pictures and give them to each other and stuff. So that’s not, I don’t know – I don’t know when I would say that I started giving things to other people, or when I’d start publishing things because I’ve always done that. When I was at university I used to make heaps of newsletters with my college, and I was on the snow boarding team, so we had a snowboarding team newsletter, and I always drew comics that went in those. But it was in 2007 that I started getting really interested in comics and cartoons – political cartoons – and it was through Anthony that I really started publishing something in a paper format. I also started doing comics for a magazine that was called My Sinking Ship which was an arts magazine that existed for a few years around about that time. The first time I saw my drawings in print in a publication was kind-of cool. This handsome thing could be your zine cover: hand-printed in Vermont by Eleri, for her workshop this Thursday June 6th. For details, see the foot of this interview. R: The last time Canberra saw or heard from you, you were producing radio. You were debating at You Are Here festival. You were rollerderbying as Cruel Roller DeVille, and you had your blog, but you’ve moved now – what have you been doing since? E: Um… It’s kind-of funny. 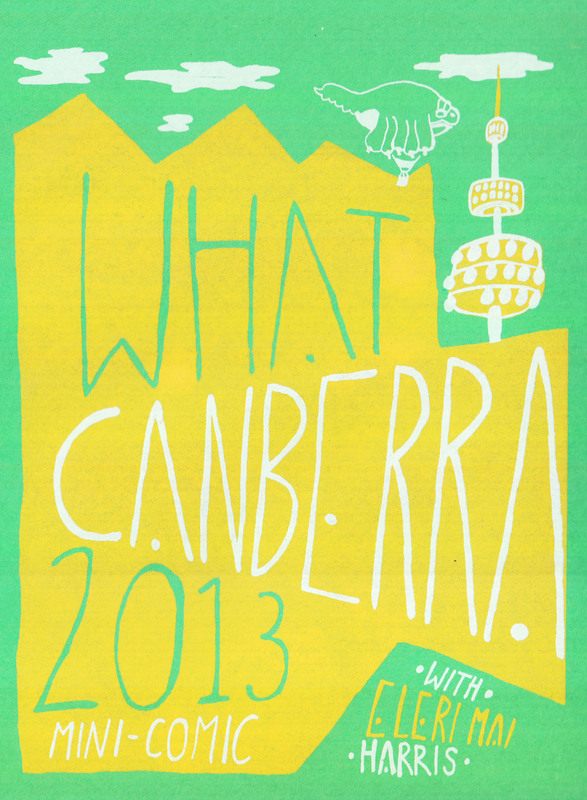 So when I was giving my speech in the debate about ‘Why Canberra is Good for Arts’ at the 2012 You Are Here festival, that very afternoon I’d actually posted an application to the Centre for Cartoon Studies in White River Junction in Vermont, to do a Masters degree in fine art… so I may have been preaching ‘Stay in Canberra!’ but I myself was looking for an out. But that doesn’t mean I’m not going to go back! So since then I’ve been doing a thing called ‘Cartoon Bootcamp’ which I basically where you get crazy, crazy assignments all the time. All of the teachers at the Center for Cartoon Studies school are ex-cartoonists – and they’re not just any ex-cartoonists, they’re all incredibly successful ex-cartoonists. Steve Bissette is our history teacher and he’s the guy who became really famous for a comic in the 80’s called ‘Swamp Thing’, so he’s really into monster comics and things like that. Jason Lutes, who is an indie-comics guru basically, is my main teacher. He published a series of books called ‘Berlin’ and a book called ‘The Jar of Fools’. He has been a cartoonist since the 90’s in Seattle. The school itself is crazy because everyone tells you, ‘You’re going to work really hard,’ and, ‘You’re not going to be able to do anything aside from comics,’ but you don’t really realise until you actually arrive that it, it is so intense. I’ve just come off a two-week, twelve to fourteen-hour day cycle where we made a group Silver Age comic. 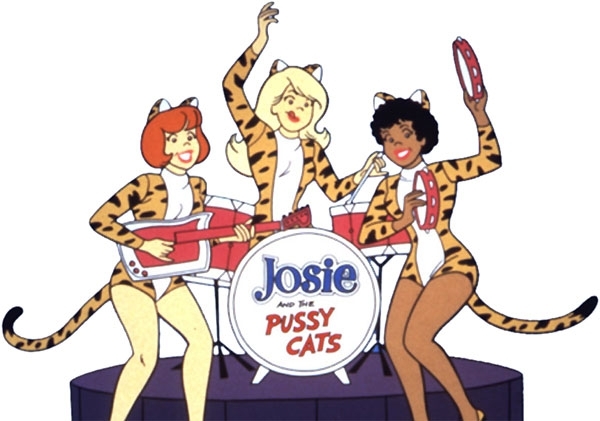 It was like a comic in the style of a 1966 teen musical comic – so kind of like the Archies or Josie and the Pussycats, and we had the Nowsills. The piece had to be in full-colour, you had to work in a group of about five other people, which is really hard to do and you had to do it in the old, traditional American studio-style. That means someone writes the comic, someone pencils the comic, someone inks the comic, someone puts the colours together and someone puts it all together – it’s really insane. I have no idea why you would ever make comics like that because it’s just so hard. R: I noticed with the Nowsills comic you created, and some of the other work more recently, it’s been a little more fantastical, and a little more imaginative than a lot of other work I’ve seen of yours, produced earlier-on. E: I’ve never really done many fictional cartoons before, because my cartoons have always been – well, I mean, with the cartoons I did with Anthony, he wrote the stories and I drew them from my imagination – but I’ve always been motivated by news and current affairs and polotics, so that’s what I’ve always done. But the projects that we get at cartoon school don’t work with that way of doing of cartooning. The projects that we get are things that make you stretch your imagination and make you think laterally, which are things that I think are actually really good for applying to non-fiction cartooning because a realy important way to look at a scenario is to fictionalise it. That is something David Pope, the cartoonist at The Canberra Times, does incredibly well: he takes a current political situation and applies a story line that everyone is familiar with – a fairytale, or a famous play, like Who’s Afraid of Virginia Woolf or something like that. I don’t think the training I’m getting is completely outside the realm of what I’m doing, but I’m certainly not making the kinds of comics right now that I intend on making for the rest of my life. R: And the cartoons you’re making now – they are by and large a product of a regimented instruction that’s been put upon you and your ability to learn and yet, particularly in Australia, facilitation of that kind of creativity is not as readily available within an institution. There are a lot of people in Australia who are in areas where there isn’t a cartoon school available to them. How did you do it before you had a cartooning school: where did you have the time, and what pushed you to do it? E: In Canberra, the best way I was able to facilitate my comic making was through ACT Comic Meet, which is a group of who really like comics – who put together anthologies and exhibitions. Those guys are amazing, and I’d say finding other people who inspire you and who can can challenge you and can show you other sorts of artworks or authors who you may never have heard of, is really ideal. But I think you also need to have an expectation that noone’s going to… You’re not just going to be able to send things off to a newspaper and get published. You have to self-publish a lot, or come up with your own ideas about where you want to put things, and what you can do with them. The ACT Comic Meet had a lot of people who had never been published in a book before. They’d been making minizines and had beed selling them at zine fairs and online, but they’d never had an opportunity to had something put in print, so the Comic Meet put together an anthology, called Beginnings, and they sold out of those really, really quickly, which goes to show there’s clearly a market there – people are interested in reading that kind of material. The theme ‘beginnings’ was something the artists could approach in any way they liked, so I put together a comic about the beginning of the Varsity Rollerderby league in Canberra that I was a part of. In Canberra, and also in regional areas, I think the key is really finding other people who are interested in what you’re interested in, but also, being able to come up with your own ideas about what you want to do and what you want to say is important. And reading as much as you can: there’s a lot out there. Even in Australia, there are a lot of full-time comic artists, like Pat Grant and Mandy Ord, and Bruce Mutard. From Canberra alone there are Sarah and Adi Firth who are both comic artists, they both work in Melbourne, and they both started out doing comics with their friends in Canberra. R: Cartooning is such a versatile artistic form. You talk about it and extend so much further than just discussing ‘print’ or a particular kind of print publication. Where would you like to see cartoons or comics: where haven’t they appeared yet? E: I think the literary world is ignoring comics completely in Australia. Most literary magazines should have space for comics, and they don’t. I mean, you look at all the major literary publications – but also longer form news publications: The Monthly, and Overland, and Meanjin, and they don’t really have comics. They don’t really ‘do’ that, and they certainly don’t do longer form comics, which is something you see a lot more in the United States and Canada. I’d like to see more of that sort of thing. The problem is that places like France, Belgium, the US and the UK have a really grand tradition of comics and cartoons, and Australia just doesn’t have that. Australians don’t really have an appreciation for what sequential art can do for you. I think that’s really sad. I think that publications should make space for that, but I don’t think that anyone’s really tried to push it upon them yet… I kind-of intend on changing that. This Thursday, Eleri visits from the US to run a one-hour comic making workshop with Scissors Paper Pen. To book a spot, details are here. You end up with a zine featuring your work, the publication has a screen-printed cover made at the Center for Cartoon Studies, your work will be archived in the National Library, and you also get to meet this lady. This interview would not have been possible without the support of Arts ACT.